Kick off the cider pressing season with tastings of Rinker's freshly pressed cider and check out cider pressing demonstrations with our 1800s antique press at 11:30, 1:30 & 3:30pm. Visit with Farmer Bob at 11am and take a tour of the farm's antique tractors and restored 1950s Chevy Truck. Farmer Bob will share some history and how each tractor has been used over the years. Enjoy Cider Slushies and apple pies from our Roosteraunte! 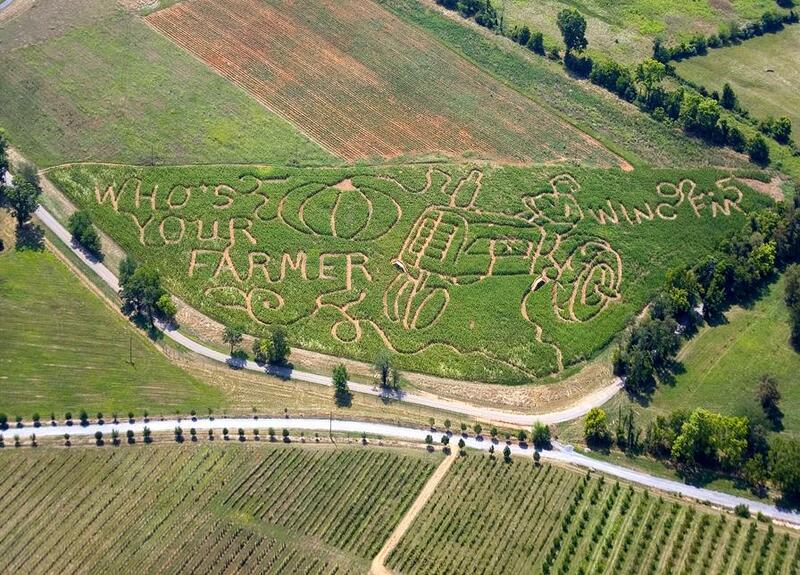 Take a hayride to the "Who's Your Farmer?" Corn Maze and dig some new potatoes to take home. Children love to hunt for potato treasure in the field! I love the picture of the corn maze!